Did you know this about UV Protection? 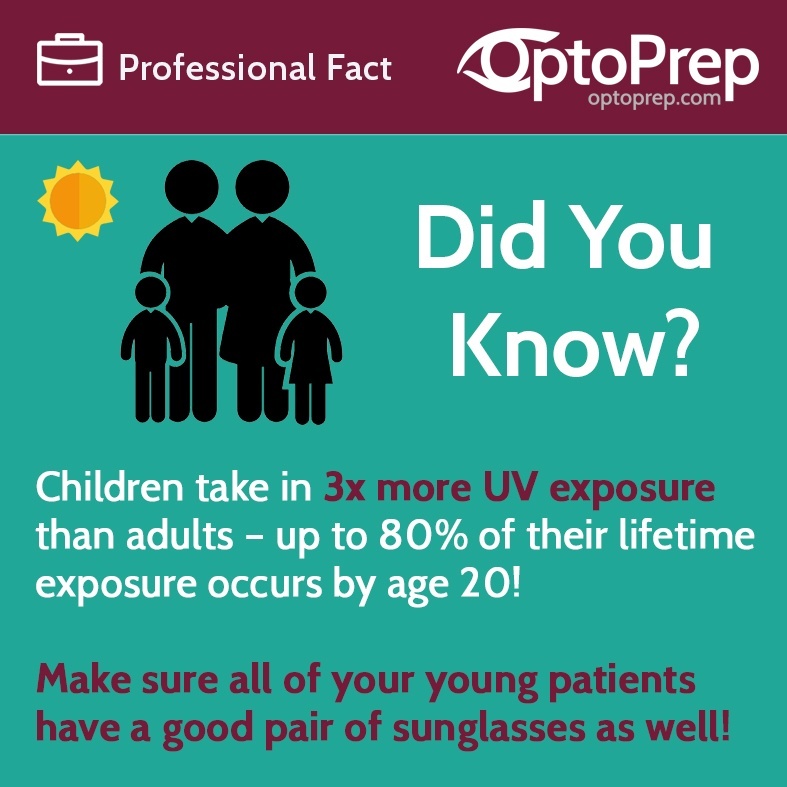 Here is our latest optometry infographic about UV Protection. Did you know that c hildren take in 3x more UV exposure than adults – up to 80% of their lifetime exposure occurs by age 20! Make sure all of your young patients have a good pair of sunglasses as well! Did you know this about Omega-3 fatty acids? 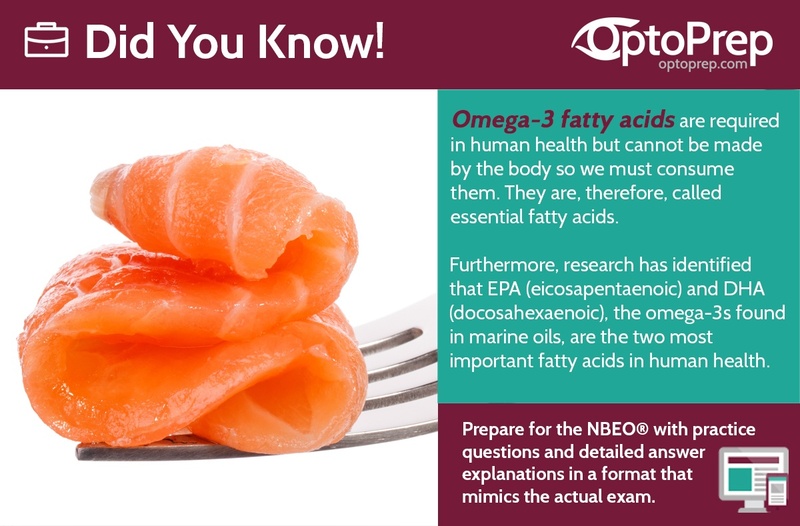 Here is our latest optometry infographic about fatty acids. Did you know that Omega-3 fatty acids are required in human health but cannot be made by the body so we must consume them. They are, therefore, called essential fatty acids. Furthermore, research has identified that EPA (eicosapentaenoic) and DHA (docosahexaenoic), the omega-3s found in marine oils, are the two most important fatty acids in human health. Do you know which eyes disease is abbreviated as MEWDS? Here is our latest optometry infographic about MEWDS. 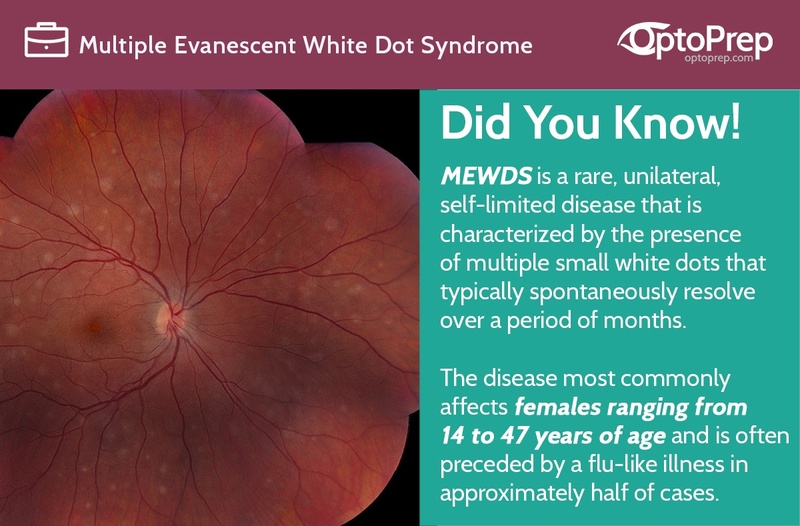 Multiple evanescent white dot syndrome ( MEWDS) is a rare, unilateral, self-limited disease that is characterized by the presence of multiple small white dots that typically spontaneously resolve over a period of months. The disease most commonly affects females ranging from 14 to 47 years of age and is often preceded by a flu-like illness in approximately half of cases. 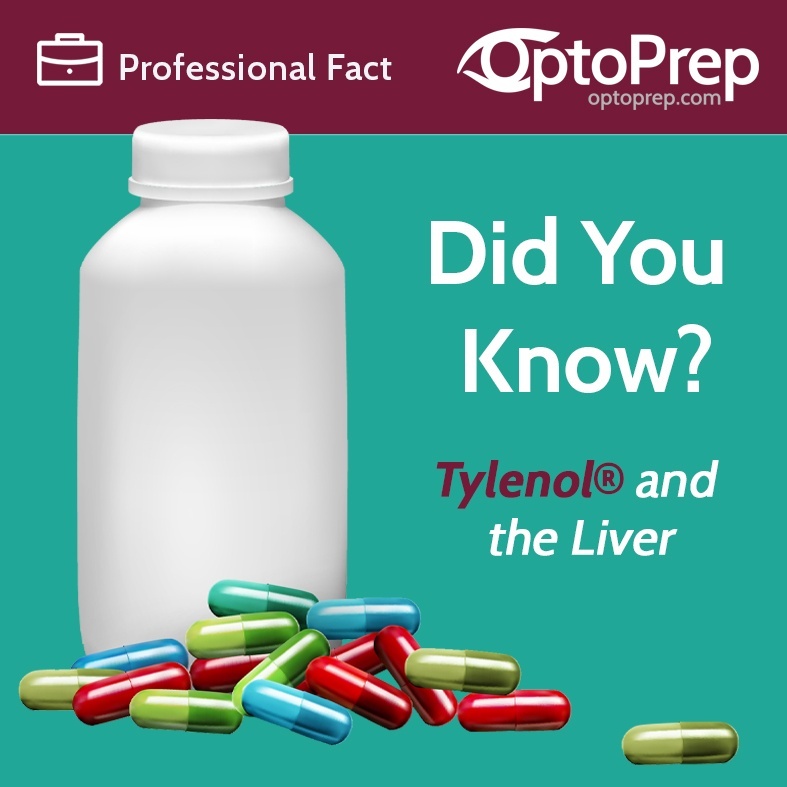 Patients usually present with complaint of a sudden decrease in vision, as low as 20/200, a paracentral scotoma (including an enlarged blind spot) and shimmering temporal photopsias. Here is our latest optometry infographic about Bioinity Energy. Did you know that glaucoma is the second leading cause of blindness worldwide, affecting more than 70 million people. 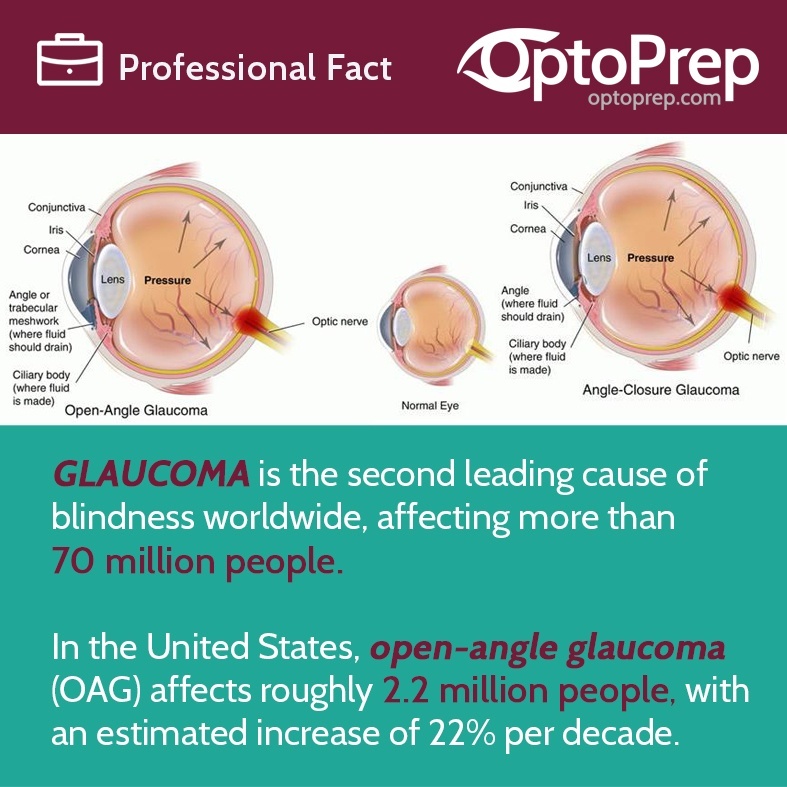 In the United States, open-angle glaucoma (OAG) affects roughly 2.2 million people, with an estimated increase of 22% per decade. The Apgar score is the very first test given to a newborn. It occurs in the delivery or birthing room right after the baby's birth, and then is repeated 5 minutes later. The test was designed to quickly evaluate a newborn's physical condition and to see if there's an immediate need for extra medical or emergency care. 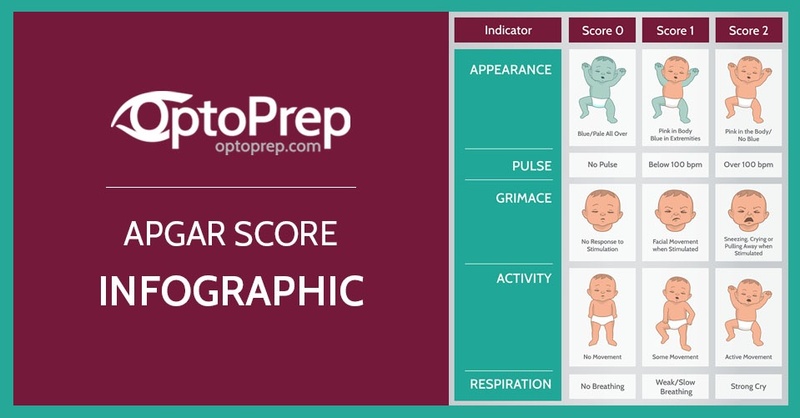 Medical practitioners combine the score for each of the five factors for the total Apgar score. This will be between 10 and 0, with 10 being the highest score possible (but is rarely obtained). 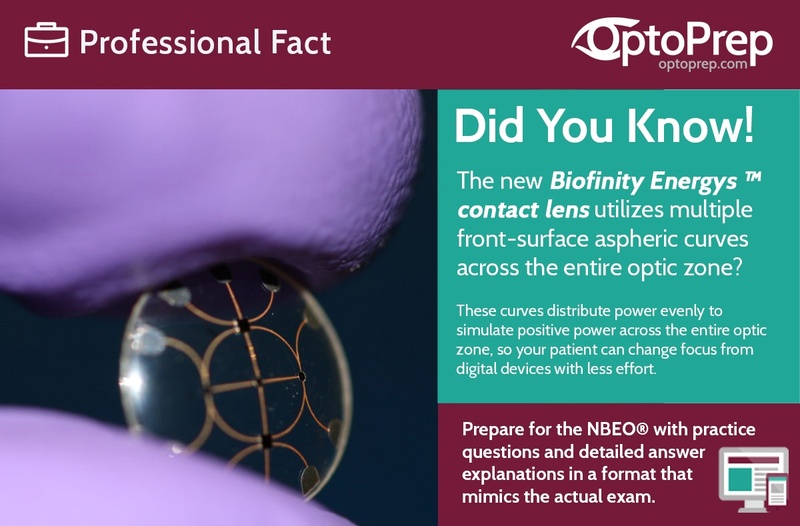 Did you know that the new Biofinity Energys contact lens utilizes multiple front-surface aspheric curves across the entire optic zone? These curves distribute power evenly to simulate positive power across the entire optic zone, so your patient can change focus from digital devices with less effort. Check out our latest the Actions of Extraocular Muscles Infographic. 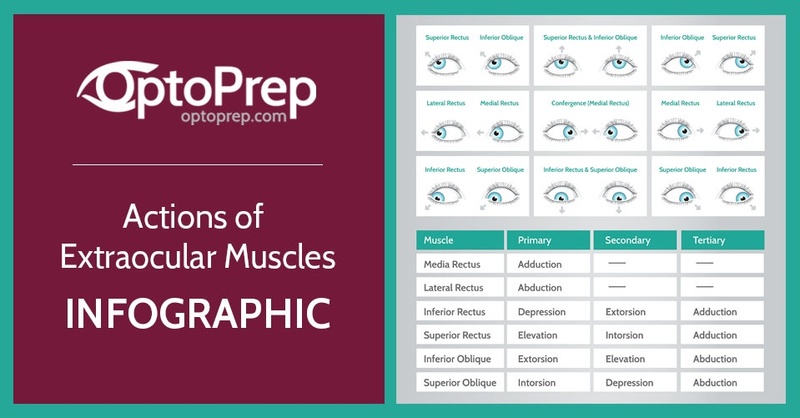 We had previously put one together last year on the details of Extaocular Muscles, so be sure to check out that infographic as well. 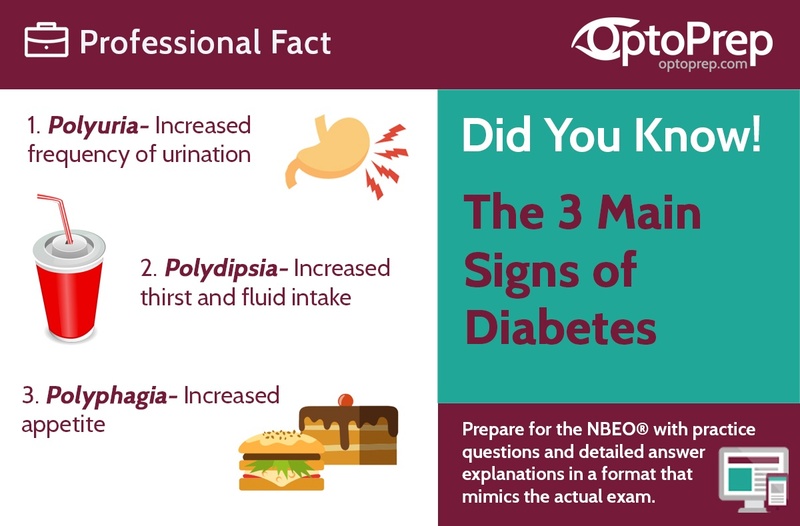 Optometry Student, do you know the three signs of Diabetes? 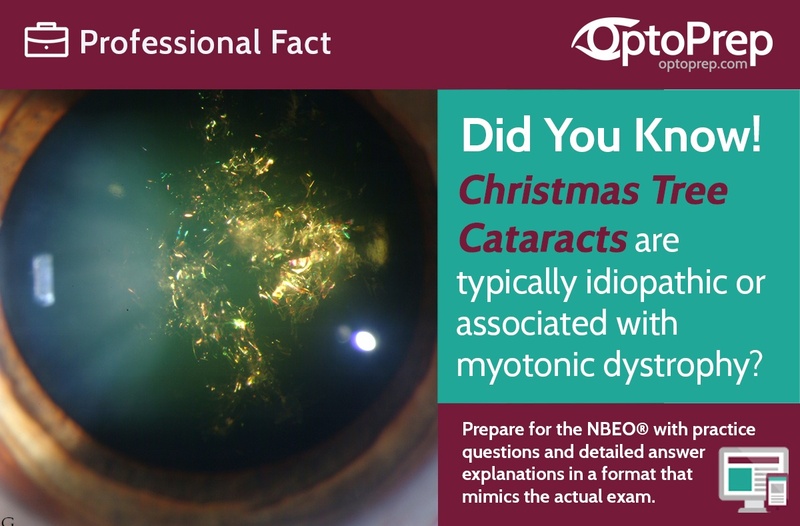 Optometry Fact: "Christmas Tree Cataracts"
Optometry fact student, did you know that "Christmas Tree Cataracts" are typically idiopathic or associated with myotonic dystrophy?